The US, as a comprehensive partner of Vietnam, is ready to work with Vietnam to complete the Trans-Pacific Partnership (TPP) agreement, Senator Sheldon Whitehouse told the media in Hanoi on August 8. 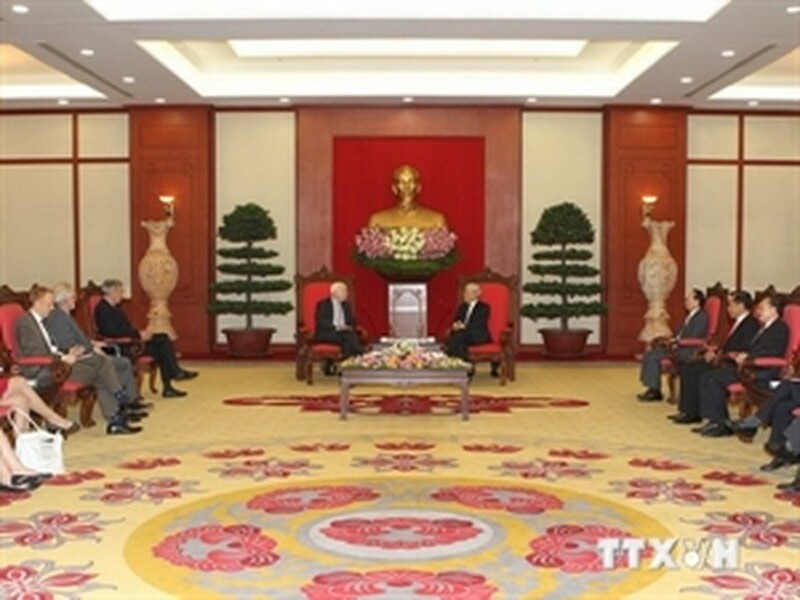 Senator Whitehouse, who together with Senator John McCain is making a working visit to Vietnam, said as the agreement sets very high standards, the US is ready to help Vietnam meet the US’s standards in order to be recognised as a market economy. He also said during meetings in the visit, the two sides have expressed wish to strengthen ties in security, economic growth and environmental protection. Senator McCain said the visit took place at a time when the two countries prepare to mark the 20th anniversary of normalization of bilateral ties in 2015. He expressed joy at the progress in bilateral ties, adding that the two countries have much to do as comprehensive partners. The two senators also took the occasion to share their view on the proposal of lifting the ban on lethal weapon sale to Vietnam.